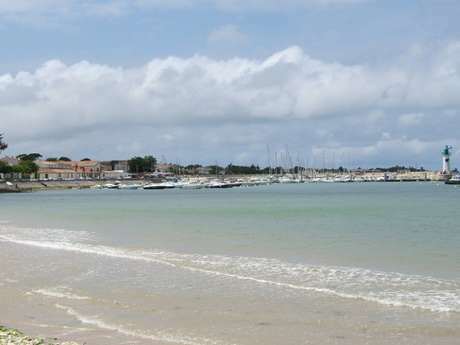 On the sand or in the shade of the trees, Arnérault Beach is perfect for bathing or a picnic. The beach is supervised in July and August and is suitable for people with reduced mobility. There are showers and sanitary facilities on site. On the other side of the harbour, La Clavette is a pebble beach that is ideal for watersports. Thanks to a highly efficient management and surveillance system, La Flotte is committed to anticipatory management of its bathing water: where there is a pollution risk, rapid sampling and analysis give reliable information in real time… you can bathe with total peace of mind thanks to our mutualised survey tools!